You’d be forgiven for thinking that Avon isn’t really a go-to brand for quality makeup. I think it’s a misconception held by many that it’s a bit pants – I thought so myself until I tried their Ideal Flawless foundation and Arctic Goddess eyeshadow palette last year. But they really are worth a look; having upped their game in the last few years with pioneering True Colour technology, Avon are releasing some brand new makeup formulations next month comprising 17 eye palettes and a whopping 60 lip colours. With prices from just £6, it’s well worth keeping an eye out for the catalogue or online. 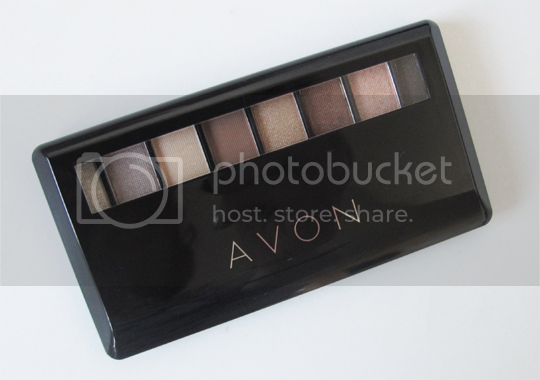 One of my personal favourites of the new launches is the Avon True Colour Palette in The Nudes*. Yep, I know what you’re thinking. Urban Decay Naked dupe? Almost certainly. This is the first time Avon have released an 8-pan palette, and although that’s 12 shadows short of being a ‘true’ Naked dupe, the colour combinations are pretty much spot on making this a great affordable alternative. There are a good variety of finishes in here, from slightly frosty shimmers to more satin-like colours meaning there’s plenty of scope for lots of different looks. 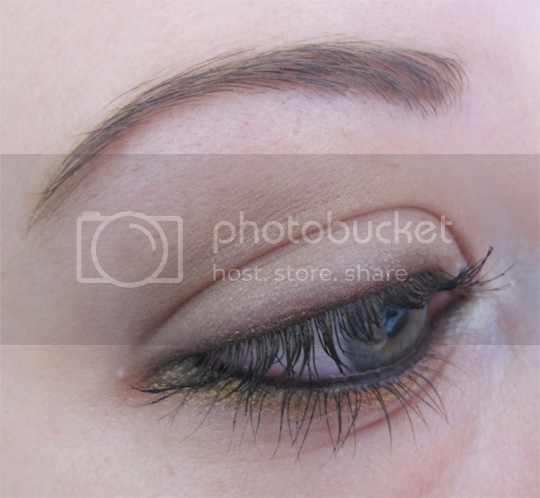 They are fairy well pigmented too, although the darker shades pack a little more of a punch than the lighter ones which may require a bit of building up. 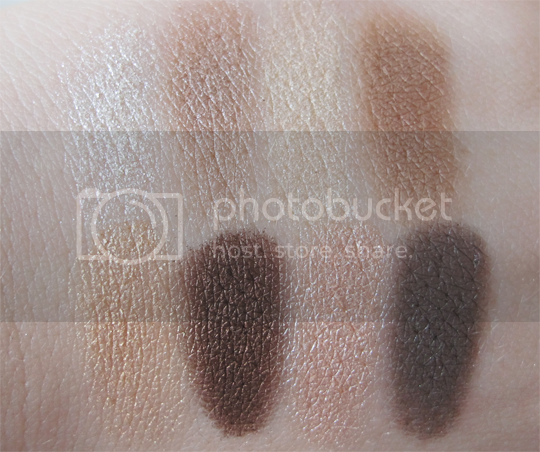 The more shimmery shades can be a touch flaky, so I would suggest applying these before your foundation. 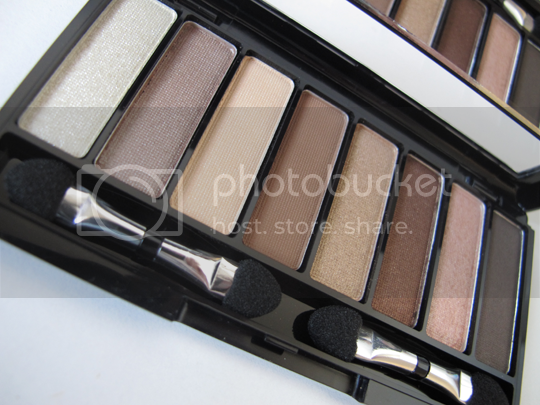 What this palette is absolutely perfect for though, is travelling. It’s really not very big at all, it fits into the palm of my hand, so its size coupled with its affordable price means it’s an ideal choice for a holiday makeup bag and it won’t be the end of the world if any of the colours crack, or if you lose it or something. In fact, by the time this post goes live, I’ll be more than halfway to Venice on the Orient Express (long story, I’ll fill you in when I get back!) and it’s made the cut for my holiday makeup selection. 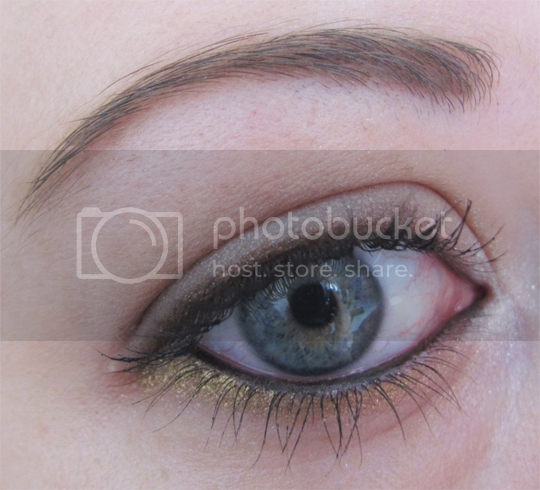 Above is a super-speedy eye look using colours from the palette – a toned-down daytime look, but don’t forget that the darker colours in the palette could be used to create a smouldering smoky eye for evening wear too. It’s a really nice and versatile palette that’s worth picking up if you’re a neutral lover, and especially if you have a holiday lined up. 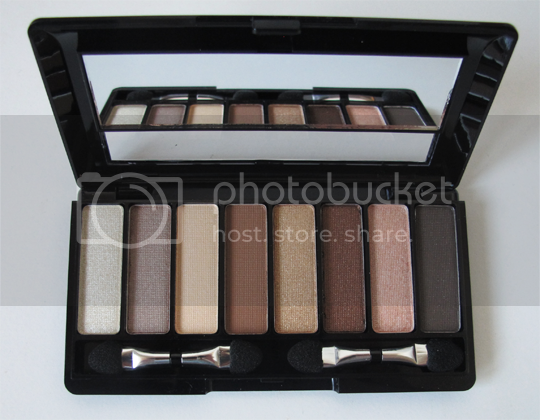 Avon True Colour Palette ‘The Nudes’ will be released next month (August 2013) for £12. Keep an eye out in the catalogues and online – I imagine this will be a popular one!